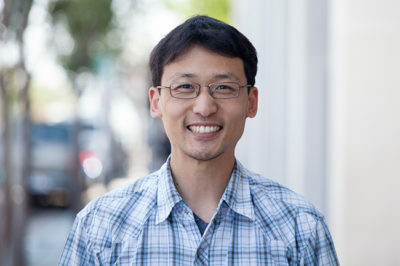 We are proud to announce Dr. D. Eastern Kang Sim successfully defended his dissertation and earned his PhD from the Joint Doctoral Program of Public Health (Global Health track) in the Graduate School of Public Health, San Diego State University and School of Medicine, UC San Diego. His research focused on examining the interconnectedness of micronutrient deficiency and obesity in children, specifically the impact of the dual burden of nutritional disorders. He also holds a Master’s of in Public Health in Epidemiology from San Diego State University and a Bachelor’s of Science in Pharmacological Chemistry from UC San Diego. Born in South Korea and raised in Mexico, Dr. Kang Sim is a trilingual and tri-cultural researcher with a strong background in applied statistics and chronic disease epidemiology. Since 2008, he has worked at the Center for Community Health as a statistician working with complex data. Learn more about Dr. Kang Sim’s unique and inspiring journey as a young immigrant who demonstrated unwavering resilience and determination to achieve the highest academic success, all while supporting his family and staying true to his roots along the way: Read more!